It all started around Easter in 2015 when Eve complained about a pain in her leg. When her leg swelled up, she and her mum went to the local GP. He ran some tests and delivered the devastating news that every parent fears — "your child has cancer". That's when Eve first came to Sydney Children's Hospital, Randwick. From the moment she came through our doors our Hospital became Eve's Hospital and soon she had an 'army of care' all around her: Eve's Army! Eve’s first 'recruit' was her cancer pharmacist who immediately started Eve on a four-month course of chemotherapy to shrink her tumour. When Eve was finally well enough to leave the Hospital, she rang the Milestone Bell in the Oncology Ward to mark the end of her cancer treatment. With Eve’s entire ‘army’ gathered around, she joined one of our Music Therapists to sing the “End of Treatment Song”. An amazing way for Eve to celebrate with everyone who had become part of her journey of recovery. Eve remains positive and manages to put on a brave face but her fight with cancer is not over — she is still undergoing physiotherapy and has regular checks with her doctor to ensure her cancer is kept at bay. Sadly, there is still a chance that her cancer may come back. 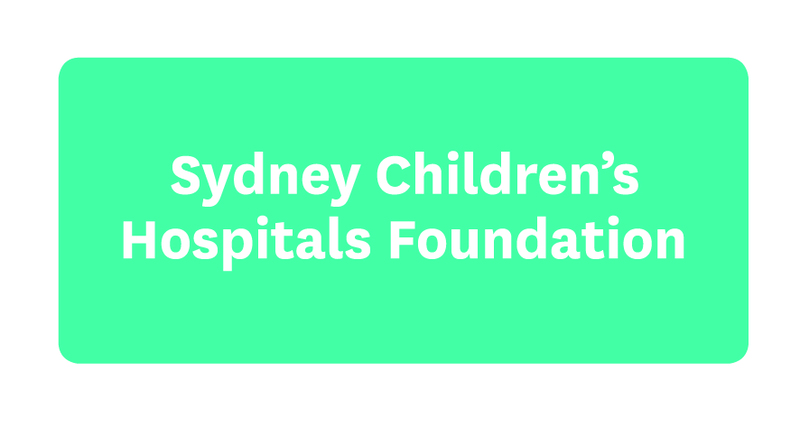 Which is why it is so important that we invest in medical research and clinical trials at Sydney Children’s Hospital, Randwick. "I don't think Eve understood what cancer was but she knew all these people were going to make her leg better, and that's what mattered to her most." To help manage the pain following her surgery, Eve was given medication on a daily and sometimes hourly basis as she spent two weeks confined to her Hospital bed. That’s when Eve recruited our Child Life Therapists to her ‘army’ too! Being confined to a Hospital bed for a long time can contribute to feelings which children find difficult to cope with and express. For Eve, drawing and playing music in her Hospital bed helped to distract her from pain, and kept her spirits high as she healed from surgery. 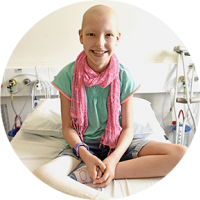 Next Eve faced a further three months of chemotherapy to ensure there was no remnant of the tumour left. She recruited a Hospital physiotherapist to her ‘army’ who worked with her five times a week, to help her learn how to get around in a wheelchair and later crutches. Complex surgery followed swiftly after the treatment and both the tumour and her entire shin bone were removed. Eve’s surgeon, a registrar, an anaesthesiologist and a team of nurses worked together to replace this bone with an expandable metal bar. Eve was also given an entire new knee. Next, Eve’s ‘army’ expanded to include social workers who provide emotional care, counselling and problem solving skills to our young patients and their families, during their time in Hospital and beyond.